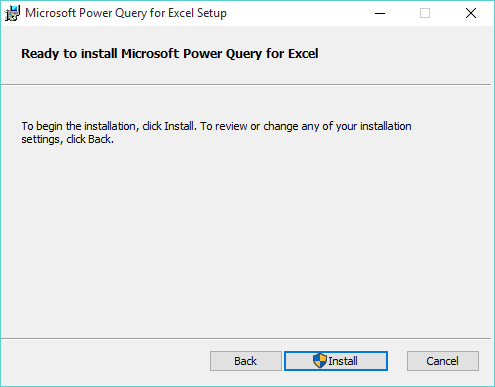 Power Query is a new add-in that was introduced in Excel 2013 by Microsoft and was that popular that they made it backward compatible with Excel 2010. 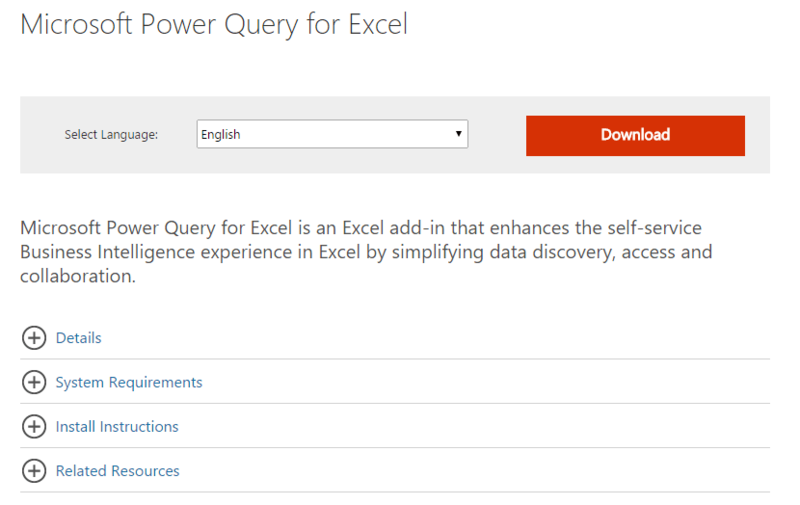 So what is Power Query? Well you know when you get data from a file, a data dump/import or an external data source and it comes into Excel in an ugly, unworkable format? I can hear you say YEEEES! 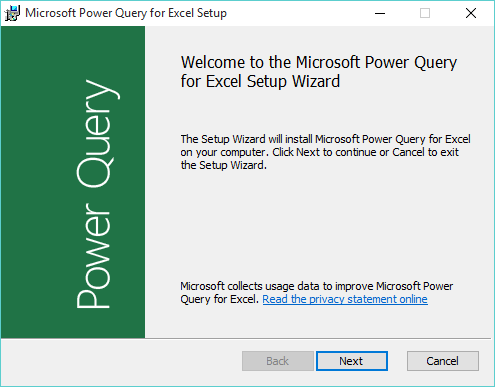 Well Power Query accesses, cleans and transforms all that messy data and displays it in a way that Excel loves and can work with. The best thing is that the next time you receive the same ugly file, all you need to do is press the Refresh button and your data will automatically be cleaned up and displayed the correct way! So no more formulas, text to columns, trim spaces, vlookup, find & replace etc. Apart from cleaning data, Power Query can append or merge two separate tables together (bye bye VLOOKUP!) as well as create extra columns in your data which can display your custom calculations! So how do I get your hands on this super awesome add-in…I hear you say? 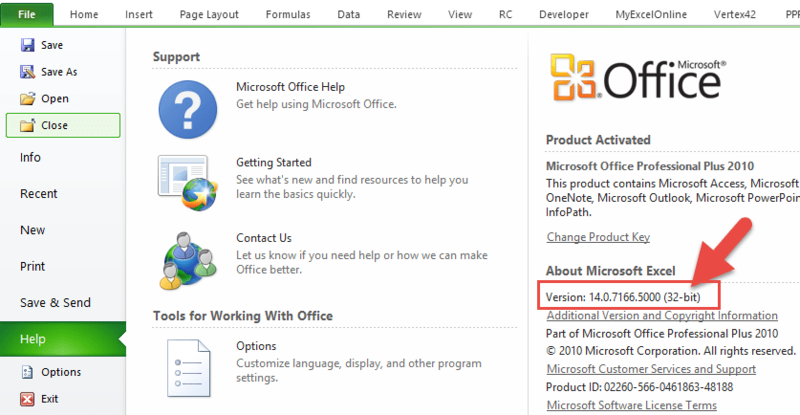 STEP 1: The first step is to check the Excel bit version that you have on your PC. To check the bit version, you need to go and open any Excel workbook and go to File > Help and on the far right hand side you will see the Version and the bit number in brackets, either (32-bit) or (64-bit). 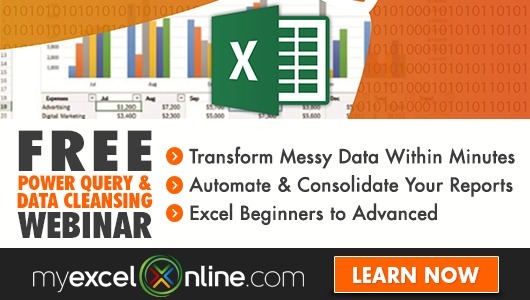 Once you know this, close out of Excel completely! …and this will start the download of the add-in installer .msi file installer on your browser (if you do not see this, go to your browser’s Downloads folder). 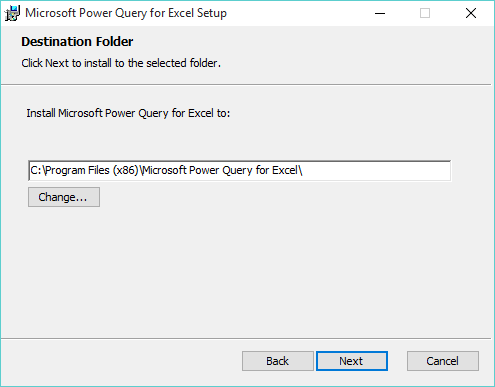 You will be asked in which destination folder you want to install Power Query. 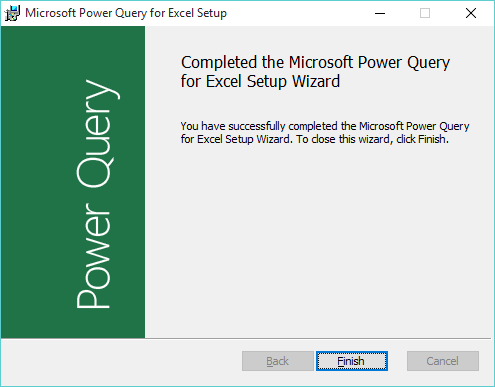 Click Yes if it asks you if you want to install Power Query on your computer. The install will now begin. You will get the following message once your install has been completed successfully. Press Finish! 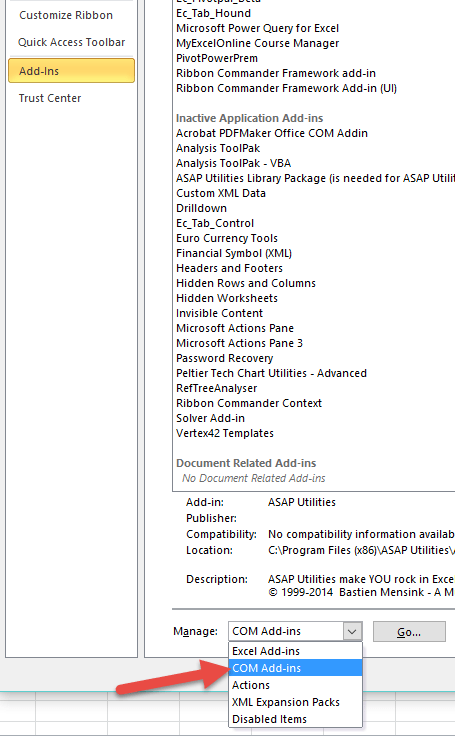 STEP 7: If you do not see the Power Query tab you will need to activate this from the back end of Excel. This will open the COM Add-Ins dialogue box and you will need to check the box for Microsoft Power Query for Excel and press OK.
You will now see Power Query on your ribbon! 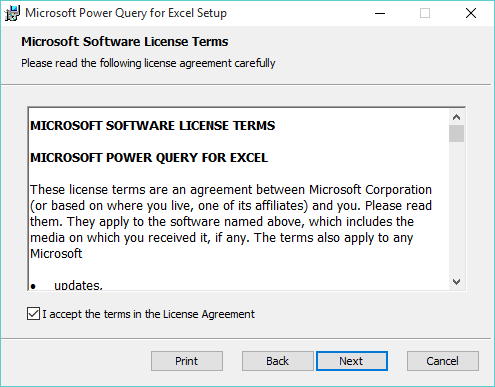 I would like to know that Power Query needs add-on license for Excel which is using in SharePoint or Project Server. Kindly reply! There is no need for any add-in licenses to purchase. 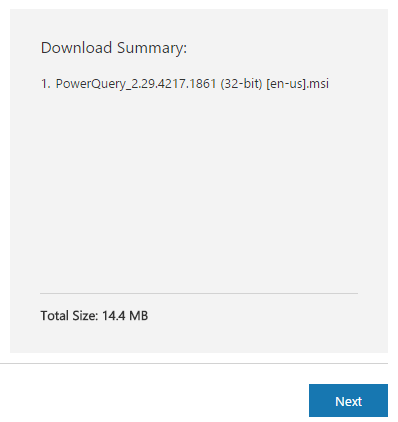 Glad you could install Power Query Al. 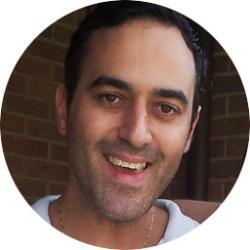 You are welcome Sam and I hope you get lots of value from using Power Query, it really is an awesome feature.